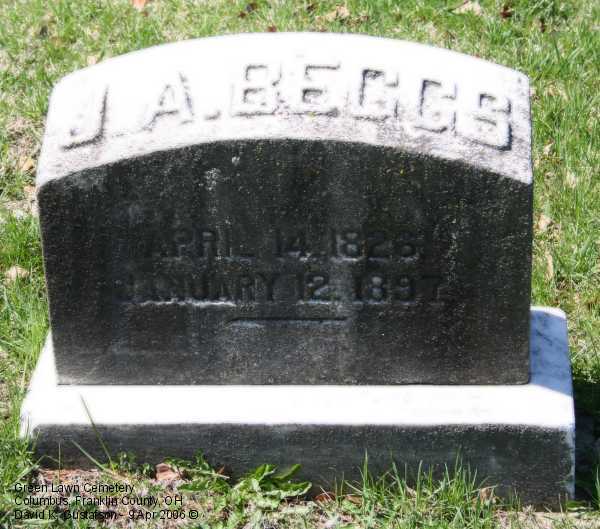 James Alexander Beggs was the son of Isaac Beggs. His mother may have been Elizabeth Walker, but it is not known for sure. He was born April 14, 1826 in Mercer County PA. Mercer County had been for quite a while, home to many of the original Beggs family from Ireland. No doubt James heard many an Irish brogue growing up! On July 3, 1850 he married Elenora Davis, daughter of a tailor from the District of Columbia. 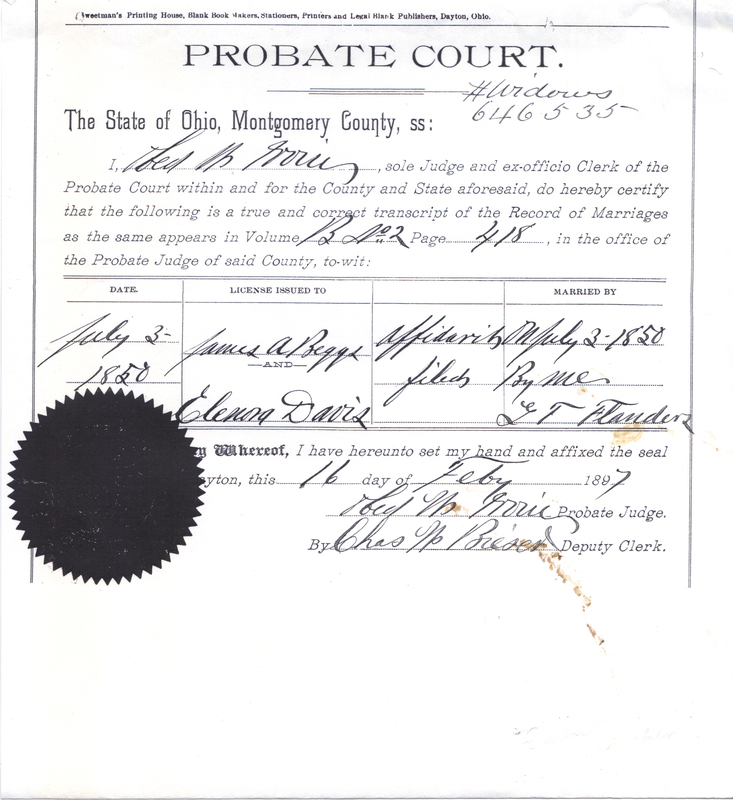 They were married in Montgomery County, Ohio. In 1858 Elenora and James had a son, David Carson Beggs. DC Beggs would become great-grandfather to Bob, Vance, Marcia and Kathy. In 1861 after Lincoln had been elected President of the United States, the South Carolina legislature perceived a threat. Calling a state convention, delegates voted to remove the state of South Carolina from the Union known as the United States of America. Eleven states would become the Confederate States of America and the foundation for the Civil War would be laid. 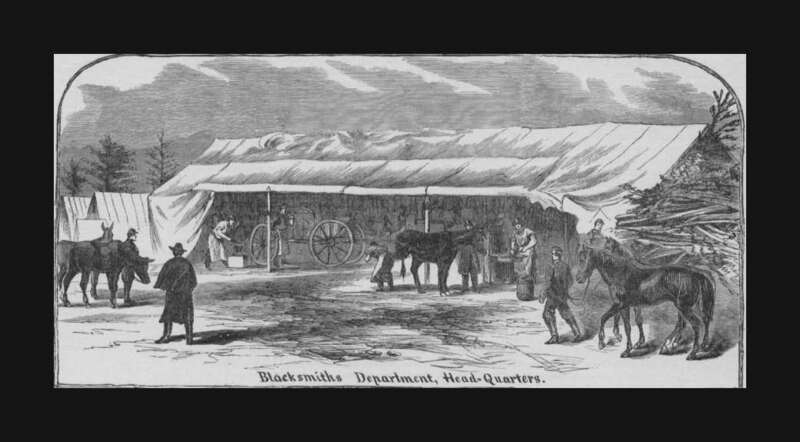 On June 29th, 1863 James Alexander enlisted as a blacksmith/farrier in Company A 5th Individual Cavalry Battalion, Ohio. A voluntary cavalry. The National Archives in Washington DC maintains thousands of military records. Through them, I obtained the records for James. Within the records, mostly pension requests, a small glimpse of who this man was and how his life changed can be found. James gives his own description of the ensuing events: “I treated myself with petroleum oil and such liniments as we had for use in treating our horses for hurts and sprains” ……After 4 or 5 days at home “I then started for and overtook the above command at Maysville Kentucky. At that time there was no surgeon with the Battalion and there was none until fully one month after that.” James was never treated. Throughout the course of the rest of his life, James continued to apply for an increase in pension. Friends and relatives provided sworn statements over and over again. As the years marched on, it is apparent that James’ health deteriorated painfully. During this time, James shows up in strange places on the censuses. I thought he was in a boarding house, that maybe he and Elenora had separated. Remember, initially this is the time in their lives and relationship when their children were young. I think now perhaps, those “boarding houses” were in fact City Hospital….. Towards the end of his life, doctor’s reports describe a man physically, emotionally and mentally broken. His body bent and twisted. His shoulders rounded and caved forward. His hands contorted and paralyzed in an awkaward position that prevented him from grasping anything at all. Eventually he could not even lift himself up in bed. 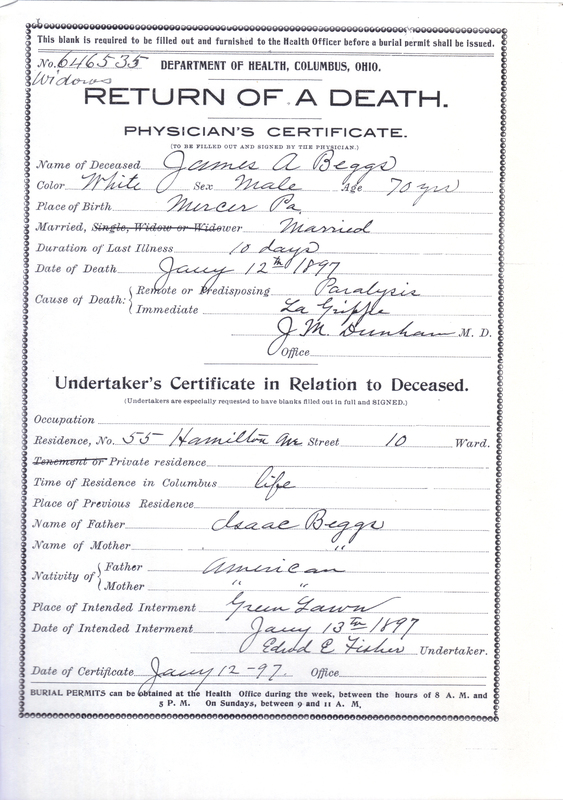 His death certificate lists cause of death as “paralysis and La Grippe”. While we do see statements and signatures of James’ daughters for the pension requests, the is no sign of James’ son David C. Beggs being involved with any of the sworn statements as to his father’s health. However, James’ gravestone is the largest in the family plot in Greenlawn Cemetery in Columbus Ohio. Perhaps a telling tribute from a son and family to a husband and father lost.